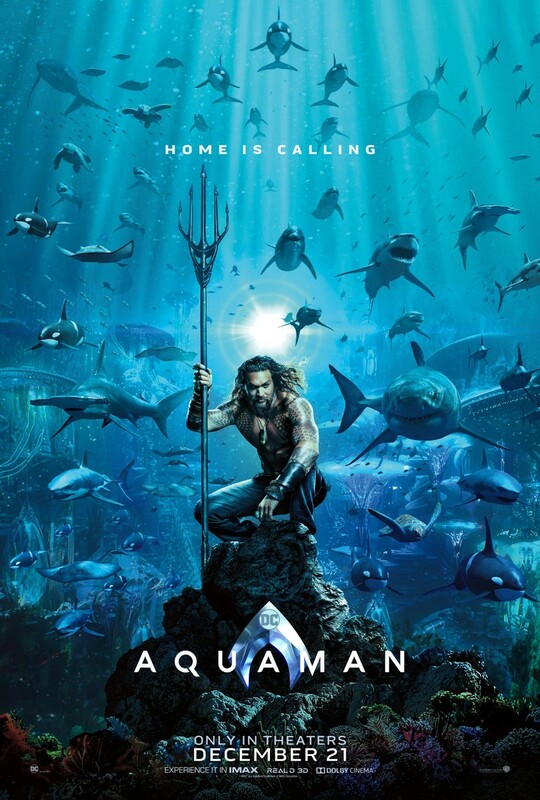 I worked on Aquaman in two studios. I started work at Method, working on the dead king and the hall of the dead. I painted the deadking and his armor. They can be seen sitting in the hall of the dead on the thrown surrounded by stone tentacles. Shortly after painting this asset, I left Method to go to Industrial Light and Magic to work on none other than Aquaman again! At ILM I was part of the team painting the gargantuan Karathen. This creature was quite the undertaking. His scale and complexity as a character made him a very complicated asset to paint. I was part of a three painter team. I painted all his legs/claws, body(not including back plates), his mouth including teeth and tongue) and his eyes. The Karathen also posed a couple other interesting challenges. His scale made painting him a bit like painting an environment, we added algae and dirt in all the little cracks. Scale of texture was also very important - we needed to be sure that when you get close, everything holds up and feels the appropriate size for such a giant. Lastly his body is made up of plates, leather and scales. All of which need to be designed and painted in an individual way to feel realistic for their material type but also need to tie into one another. Lastly we painted damage to give him a tatted and aged look. Lots of scratches and even some old healed scars were added for some personality. Just my portion of this character included three different mari archives. The lightest of which was around 40gigs and the highest of which was close to 90gigs.